Madeline Clark’s life seems like the life of a dozen different individuals. 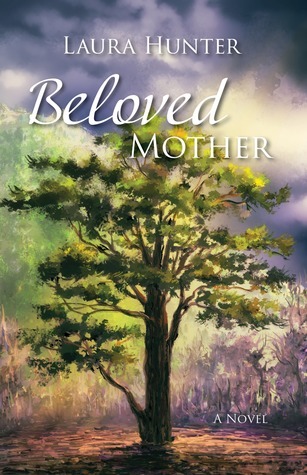 From the beginning of her troubled life, she is met head-on with one horrific circumstance after another at the hands of people she hopes and prays will be her saving graces. After finding her way out of South Africa, Maddie finds fleeting hope with David Blakely, a man she has no choice but to trust to pull her from poverty and imminent death, but cannot possibly know that his attention will be the beginning of her end and the catalyst for a lifetime of heartache and repeated loss and grief. 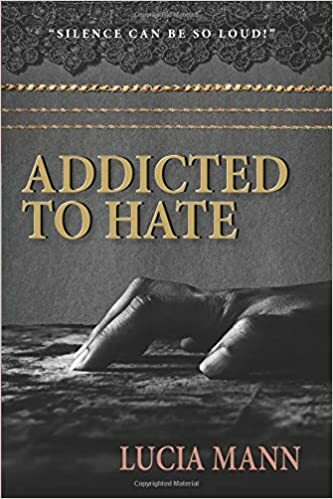 Maddie’s life, laid out for readers by Lucia Mann in her book, Addicted to Hate, is one of the most tragic about which I have ever read. It’s difficult to know where to begin explaining the layers Mann has revealed with her vivid and gripping descriptions of Maddie’s harrowing childhood, her abusive marriage to a vile man, and the horrific road she travels as a mother to three girls who could not care less if she lived or died. It is almost beyond comprehensible that Maddie could survive the mental and physical challenges with which she is faced from the beginning to the bitter end of her amazing and tortured life. Mann has taken this story, based on actual events, and set Maddie forth as an unlikely heroine who overcomes insurmountable odds as she talks herself through each of her hardships including three pregnancies that, by all accounts, were miracles and curses at the same time. Maddie is the poster child of life testing us. She seems to have received each and every trial imaginable, the most tragic of which is the complete abhorrence her daughters have for her. I found myself rooting, paragraph by paragraph, for a turn of events for Maddie. I felt a visceral reaction with each mention of her daughter Mara’s blatant and evil brutalization of her mother. I wanted desperately for Maddie to see the light and make a break from her toxic children, but Maddie is better than most; she may be better than all of us. Maddie’s intellect is her own saving grace. Her abilities are put to use in the most fascinating ways, and even that amazing opportunity cannot completely pull her from her spiral. Mann is a master at having her readers draw hopeful conclusions before letting them down abruptly. The overall subject matter of Mann’s work is enhanced by the tone in which she writes. While maintaining a third person point of view, she manages nicely to incorporate a hint of second person questioning while drawing the reader further into Maddie’s overpowering drama. Mann has given audience to an amazing tale of endurance and determination. In addition to the heartbreaking events of Maddie’s life, Mann shows readers the embodiment of true and unwavering unconditional love. 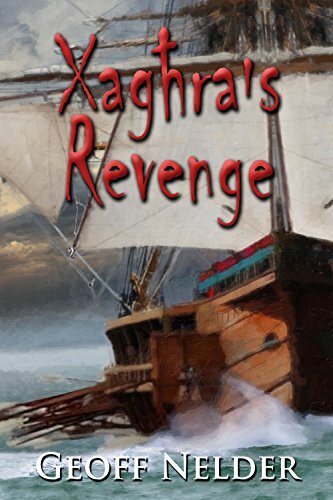 Nowhere else can readers find a more poignant tale of loss, betrayal, and incredible triumph. Natalie leads a life like no other woman. The man in her life is not her husband and her son is not her own. As a woman in the pre-Civil War days, she does as she is told, and her life is simply not her own. Her son, Matt, who she lovingly protects from the hatred and violence of his brother, the man in her life, is being raised with no idea of what true love is. As Natalie continues to serve Pete and put up with his endless brutality, she simultaneously succeeds in teaching Matt how to recognize his brother’s faults and steers him toward the life he deserves. 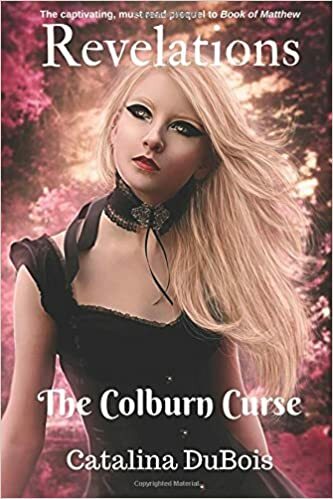 Catalina DuBois’s Revelations: The Colburn Curse contains rich tidbits of various genres, and they all seem to blend flawlessly into one breathtaking piece. With mystery being the underlying and ever-present element, DuBois’s book is laced with romance, historical fiction, and tantalizing snippets of fantasy. As I read, I felt as if I were on an emotional roller coaster of the most bizarre kind. I desperately hated Pete from the moment he entered the picture. There was not a signal redeeming quality present in him, and I felt no qualms about despising the sight of his name. Then DuBois throws a monkey wrench into the equation– a complete game-changer. I was amazed at how swiftly the author was able to make me change my mind. Then, as quickly as she brought me to a new line of thinking, she reintroduces the Pete of old. DuBois is a master of the plot twist. I was two breaths away from an audible gasp when she had Natalie suddenly reveal her own revelation about Pete’s true identity. Who doesn’t yearn for a book that gives them that feeling? I will admit that I had a difficult time in the early chapters seeing how the vast array of characters would fit together by the book’s end. DuBois, however, is more than adept at pulling together characters from settings that are seemingly unrelated. I might add, when she does, it is amazing. The storyline centering about Ambassador Florian Lafayette and his sister, Embrasia, is the most engaging in the book. The two are, without a doubt, bent on living on the edge. Their antics would seem to lead them down a path of destruction, but a few chance meetings change the siblings and their wild ways like no amount of preaching could. I find their storyline to be filled with the most rapidly moving action. Having read several other books by the author, I can say this one is, by far, my favorite. When you can finish a book and feel immediately like rereading it, you know you have found a keeper. DuBois is the queen of prologues. I never ceased to be amazed at her ability to pull me in within the first paragraphs. 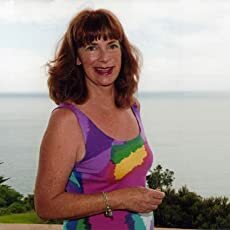 There is no one else out there penning romances with touches of fantasy based on historical fiction like Catalina DuBois. Pyre to Fire follows two stories, the fate of a Spanish village during the Inquisition and the contemporary story of a Cuban girl trying to find her roots. Why was this an important book for you to write? This was the story of my own family with information that I gleaned from all the archival material that I found while researching my own genealogy. While the trajectory of the family, their occupations, names, etc are the not fiction, I had to embellish on the scenes and fill in the blanks. The little girl in Miami is me and it was important to show the relationship between me and my ancestors in as real a way as possible. I enjoyed the detail in your vision of the village of Fermoselle during Spain’s sudden and devastating conversion to Catholicism. What kind of research did you undertake to ensure your book was accurate? All my material is primary sourced. I have every single birth, death and marriage certificate as well as land purchases, notarial deeds and last wills of testaments going back to 1545. I then have just wills, notarial deeds and Inquisition records in the archives going back to 1405 Spain and Portugal. Maria’s character was one that I thought was well developed and captured her soul. What was the inspiration for her character? I am Maria. The whole description of incidents is exactly as they happened to me. My next book is The Recipes of the 15 Grandmothers. 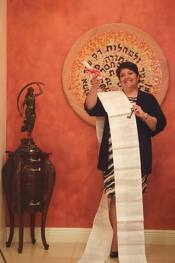 I was able to locate recipes that were passed to my Mother from Crypto Jewish times through today. The are special in that any keep the kosher laws even when the family was Catholic and are clearly showing a sign of their times. This book is finished and in the editing process. 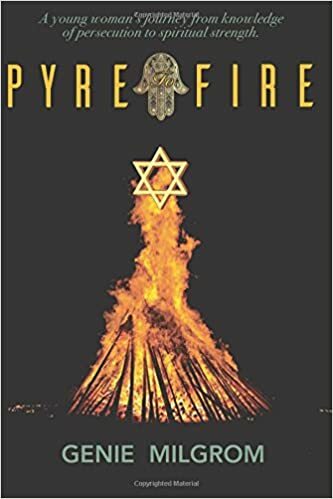 A compelling work of historical fiction that engages the reader to follow the story of a family from the burning Pyres of the Spanish Inquisition to a young Cuban Catholic girl in Miami, Florida whose soul was ablaze with a desire to return to its’ rightful place among the Jewish people. Matthaios is a prince and Sara is a slave girl. In ancient Rome, their love is forbidden. In fact, true love like theirs is not what royal marriages are made of. Matthaios is not cut from the same cloth as his father, Titus. Titus, being Caesar, is prone to all the atrocities and savagery of his title. Matthaios, kind and loving, is forced to marry a woman he does not and cannot possibly love. When Sara’s untimely death is foreseen by her trusted friend, the course of both their lives and any life they may ever have together takes a sudden and tragic turn. Yet again, I am drawn to the characters in Catalina DuBois’s series. ​Infinity: A Crown of Golden Leaves ​is filled with a myriad of characters from all walks of life. From Medusa to Daniel, a merman and best friend of Sara, to Titus and Arrecina, his bride, DuBois pens some amazing and rich portraits of her cast of characters. I didn’t want to be drawn to Titus. I fought hard against it for several chapters. Everything in me told me that Titus was not supposed to be my pick, but that’s exactly how outstanding DuBois’s writing is. She spins a backstory like no one else in this genre. Titus, in all his loathsome and vile glory, is truly the standout in this book. Without giving away too much, I will say the backstory the author has chosen to give him is heart-wrenching and sheds new light on his choices and his treatment of Sara. He absolutely stands as my favorite in the long list of DuBois’s characters. I enjoy the mix of settings DuBois provides within the ​Infinity ​series. I didn’t expect to come across the element of fantasy so deeply intertwined with historical fiction. If an author isn’t careful, that cross can become an awkward and difficult pill for readers to swallow. DuBois however combines the two seamlessly. The reader quickly accepts the change of setting from above sea level to below as all part of the charm of the story. As with DuBois’s other ​Infinity​ installments, romance is plentiful. However, DuBois constructs tasteful scenes that never border on vulgar or obscene. Her writing is touching and truly conveys a sense of deep and lasting love between her main characters. Just as DuBois writes vividly of true love, she creates excruciatingly realistic scenes of her characters’ pain and heartache. I had a similar experience with Infinity: The Fifth Bride of​ Pharaoh. ​DuBois includes some of the most engaging prologues I have ever read. 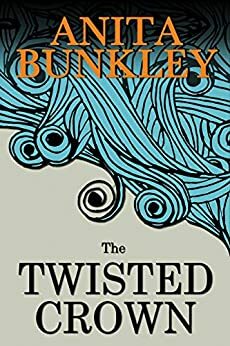 She pulls you in from the first paragraphs and keeps your interest piqued throughout the reading, moving along a roller coaster track of emotions and back again. 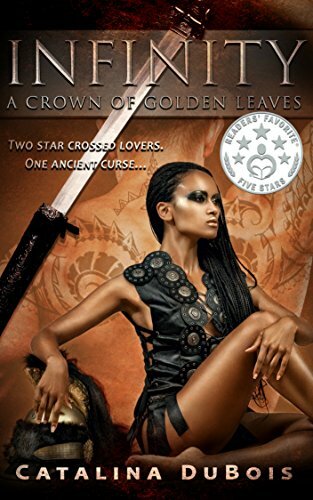 Readers seeking a quick but gripping historical fiction book with a tasteful amount of fantasy won’t be disappointed with the love story of Prince Matthaios and the love of his life, Sara. When the Cossacks invade their village, young Avrum and his brother Hershel manage to hide and survive the attacks which kill more than 80 members of their small Polish community. Trying to gather their wits about them and come to terms with the deaths of both parents, the two boys decide to make their way to the synagogue in Lvov. The road to Lvov is paved with one horror after another, and a harrowing experience at the home of a decrepit old woman leads to the brothers’ ultimate separation. 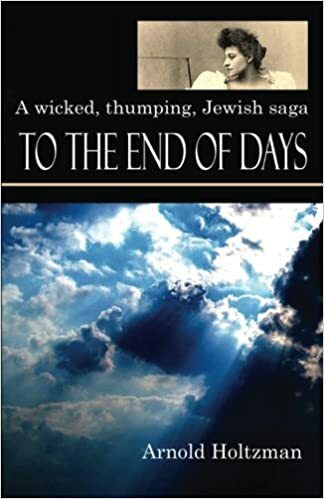 Avrum, the tragic main character in Arnold Holtzman’s To The End of Days, spends the better part of his young life making his way to America to build a life for himself and, hoping beyond hope, to reunite with Hershel. Holtzman has the striking ability to appeal to all of the reader’s senses through his writing. The scene in which Avrum and Hershel are fighting for their lives at the cottage of the old woman is particularly gripping. I was utterly repulsed by the vivid descriptions of the vile woman and the filth in which she lived. As horrific as the circumstances were, I was unable to tear myself away from this disturbing string of events. The same can be said for each stage in Avrum’s life. As he moves across the country and eventually on to North America, each new circumstance brings rich details, vivid images of despair, and poignant scenes of his struggle as an immigrant. The various settings described throughout Avrum’s journey are exceptionally well-written. At every turn, I felt myself immersed in the sights and sounds of early 1900’s America and the Jewish culture. Holtzman leaves nothing to the imagination which, in turn, leaves the reader more time to focus on the plot surrounding Avrum and the subplot focusing on Fanny. Avrum captured my heart from the moment he and Hershel faced the fate of their mother. His heart-wrenching grief and his determination to find his brother dominate his life for years, and are the driving force behind everything he does from finding work and wrestling when offered the opportunity to pursuing every lead no matter how futile it may seem. Avrum’s strength is unmatched. Bella is not a character I enjoyed–but I wasn’t supposed to feel warm toward her. Holtzman has done a phenomenal job creating a selfish, arrogant, and needy female match for unlucky Avrum. Though she doesn’t make her true intentions known until much later in her relationship with Avrum, I admit I was suspicious of her from the beginning. She is one of those characters who is far too concerned with making herself understood and appreciated. The author has succeeded phenomenally in creating a character worthy and deserving of the reader’s loathing. Intermingled with the characteristics of historical fiction is a pleasing amount of mystery. Avrum encounters numerous clues to Hershel’s fate throughout the years, but the author skillfully weaves a web of subplots while redirecting the reader’s attention. Even to the final pages, I was yet unsure of poor Hershel’s fate. Kudos to Holtzman–this is how I prefer my fiction. Fans of historical fiction will appreciate the insanely detailed descriptions of the havoc wreaked by the Cossacks and the accuracy regarding the Jewish culture. 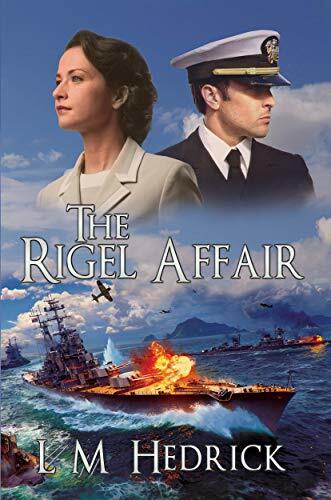 Avrum and Hershel represent everything that was wrong with this period in world history and everything that can go incredibly right when a man remains unfailingly loyal to his family.